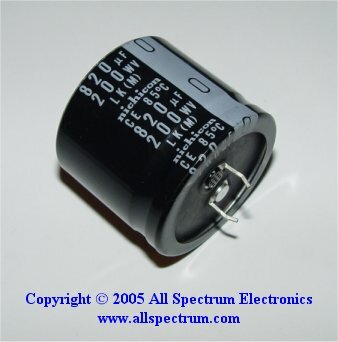 820uf, 200v, high quality Nichicon, Aluminum Electrolytic Capacitor, Snap In. 1.22" long x 1.4" diameter. Lead spacing approx 0.4"